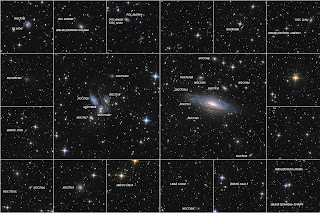 Look at those magnificent galaxies. 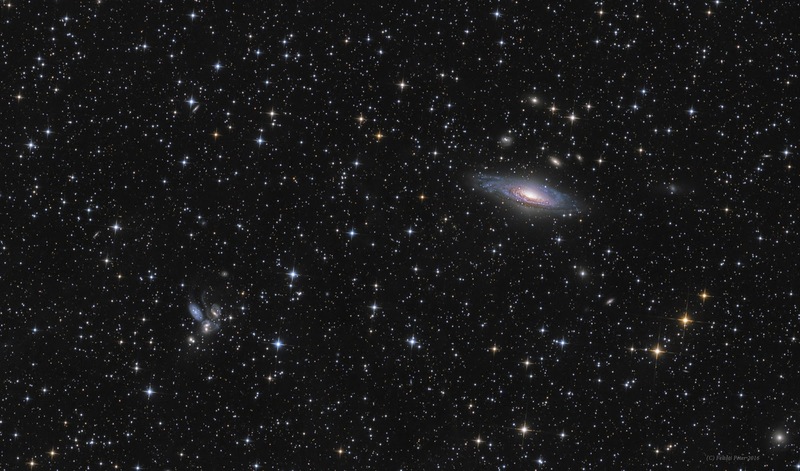 NGC 7331 and Stephan's quintet lays in constellation Pegasus. 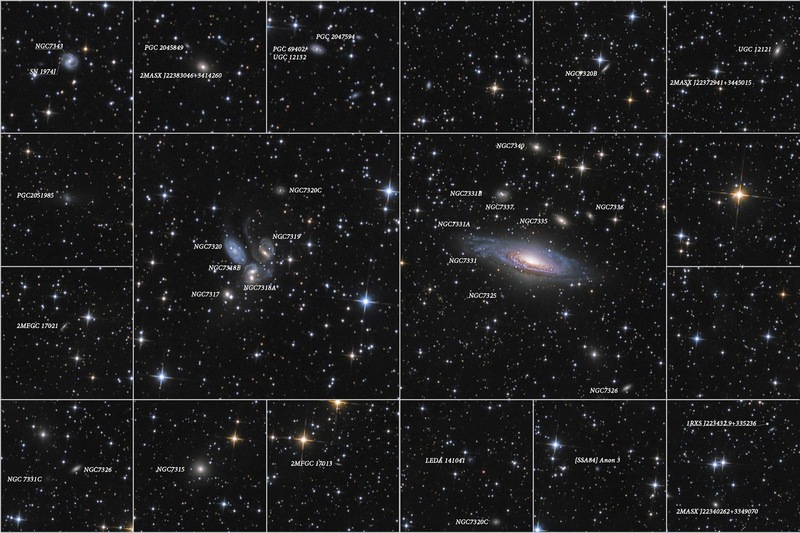 If we look at that part of the sky, we don't only see just a few galaxies, but dozens of them, even through a faint layer of integrated flux nebula which surrounds Milky way. 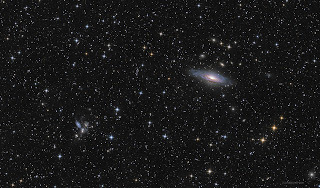 NGC7331 is the spiral galaxy on the right and NGC7317-7318A-7318B-7319-7320 on the left is the quintet, 4 of them are interacting galaxies, wich forms the most compact known galaxy group. This image made it to APOD on 03.12.2016! You are using a 200/800 skywatcher. Did you pick the 8" instead of 10 or 12 for any particular reason? Do you wish you had a 10 or 12 instead? Dear Michael! Thank You for Your comment. This is a very good question. I had been thinking this over for like a half year. I decided to choose the 8" because it has wider field of view, it is lighter, which is an important factor for my mount :-) and it is cheaper. The 10" has better resolution, but in most cases I can't make a benefit from this, since the seeing on average let me to reach 2-3 arcsec in resolution. Beautiful work - by the way!